LAUGHLIN, Nevada, January 18, 2009 – In a heart-stopping beginning to his second year in off-road racing, Joe Bacal put his Lexus LX 570 ahead of his closest class rival as they raced flat out to the first corner at the SCORE Laughlin Desert Challenge 2010 season opener on Saturday, only to feel the full force of competition slam into him as he headed for the apex. Rival competitor Justin Matney left a major wound in Bacal’s Lexus as he pushed his way through, but the adrenaline-fired Bacal re-passed Matney shortly after and was never headed again en route to another Stock Full-class victory this past weekend. And like Bacal, apparently hard to break. Despite considerable damage sustained in the crash, Bacal, co-driver Bob Ditner and the Cancer Treatment Centers of America Lexus continued unabated after the first-corner dust-up—important because the other competitors weren’t letting up. After their Saturday triumph, Bacal and Ditner duplicated the feat on Sunday in the second and final round of the Laughlin event. Significantly, Bacal and his BF Goodrich-shod Lexus also extended their perfect finishing record. This was their fourth event since the JTGrey team began its off-road racing campaign with a surprise win at the Baja 500 last year. 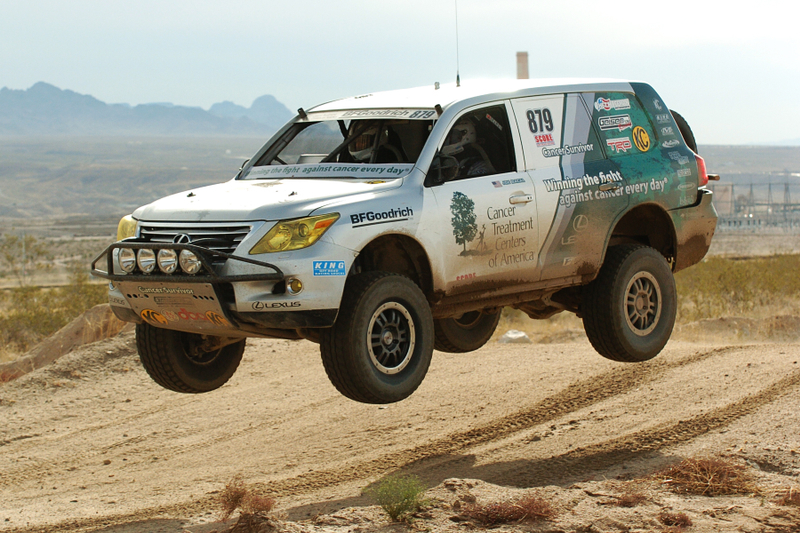 The LX 570 has been severely thrashed on the tough desert courses but has finished every time, remarkably with zero flat tires in over 1500 miles of hard desert racing. Bacal has driven every mile. Joe Bacal and his JTGrey team race next at the Mastercraft Safety Tecate SCORE San Felipe 250, March 12-14.